Omar has spent over 12 years specializing in security pricing and valuation. He spent 6 years working at PIMCO where he led the European pricing function. 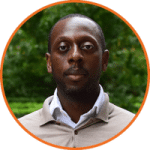 He has worked as a fixed income analyst for Interactive Data (acquired by ICE Data Services) and Bloomberg. Omar also has experience in financial engineering and has worked as a front office developer at Danske Bank. Additionally, Omar has a range of entrepreneurial and commercial experience through his involvement with a number of start-ups. He holds a BSc Mathematics and Management from the University of Manchester and a Certificate in Quantitative Finance (CQF). He also graduated from the Executive MBA programme at London Business School in 2016. Samuel has spent most of the last 18 years working in Front Office Development as a consultant contractor. Samuel has worked for a range of institutions, including market data providers, Hedge Funds, Investment banks and Brokerage houses. Samuel has specialized in Excel spreadsheet management. His focus has been working with organisations to standardize their Excel spreadsheet infrastructure and advise on best practice. Samuel has developed enterprise front office solutions for Morgan Stanley, BlueCrest Capital, BGC Partners, Barclays Capital, PIMCO, Danske Bank and Bloomberg. Samuel also ran Excel training courses for teams in Bloomberg. Samuel holds a BSc Economics and Computer Science Degree from City University in London. 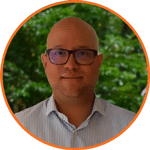 Brad has spent over 12 years working within the financial services industry in a range of different capacities including business development and project management. Most recently, Brad led projects and initiatives relating to technology infrastructure, front office governance & compliance and organisational change across different areas of Morgan Stanley. Brad also led an infrastructure project in Mexico City which included a Microsoft Office migration project. Brad has also worked within support and infrastructure roles at RBS and Lehman Brothers. Brad holds a BSc in Computing & IT and Business. Shailesh has over thirty years experience in Global Financial Services, recently retiring as Chief Risk Officer, Wealth Management at UBS. Shailesh is a business focused Risk Executive with a proven track record in effectively assessing risk-return opportunities and delivering bottom line growth. Risk Expertise, including broad regulatory understanding and engagement, coupled with business experience enabling effective partnerships with business leaders and proven ability to build consensus across multiple disciplines. Success in establishing de novo operations as well as in turnaround situations, organizational transformations and in establishing new holistic risk approach and frameworks. Prior experience including UBS, JP Morgan, General Electric and State Street Corporation in London, New York and Zurich. Shailesh holds a BSc (Hons) degree in Mathematical Physics from University of Liverpool and a PH.D. Degree in Theoretical Physics from University of Leeds. Dan is an entrepreneur in technology & financial markets and co-founder of the award-winning startup, iPushPull. Before founding iPushPull, Dan built the Eccoware electronic trading software business delivering the first off-the-shelf arbitrage platform for electronic markets. Dan also runs a derivatives trading company and advises several startups. 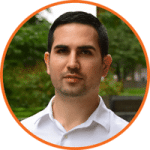 Dan holds a Masters Degree in Operational Research and Business Management from Lancaster University Business School and the University of Rome, and an Honours degree in Electronic Engineering from UCL.